Dogs don’t have either the TYRP1 gene or the MC1R gene – they have both. In fact, every dog will have two copies of the TYRP1 gene and two copies of the MC1R gene. Since both genes control aspects of coat color, it makes sense that they interact. In fact, TYRP1 and MC1R have what is called an epistatic relationship: the action of one gene controls the expression of a second gene. Another way to phrase this relationship is that the effect of one gene is dependent on another gene. Remember that TYRP1 is required for the production of eumelanin. The dominant allele of TYRP1 (B) produces black eumelanin, while the recessive allele (b) produces brown eumelanin. However, if a dog is homozygous recessive for MC1R (ee), they lack the ability to produce eumelanin at all. If no eumelanin is being produced, it doesn’t matter whether it would have been black or brown: there is none. This means that any dog that is homozygous recessive for MC1R will appear yellow regardless of its genotype at TYRP1. These two genes are epistatic: the action of MC1R controls the expression of TYRP1. The effect of TYRP1 is dependent on MC1R. If a dog has at least one dominant functioning allele of MC1R, then its genotype at TYRP1 can be seen. If the dog has at least one dominant allele of TYRP1, it will appear black. If it has two recessive alleles, it will appear brown. A pedigree can be used to show the inheritance of two different genes such as TYRP1 and MC1R. 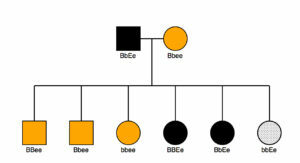 Figure 18: In this pedigree, a cross between an individual who is heterozygous for both MC1R and TYRP1 and an individual who has the genotype “Bbee”is shown. Black individuals are shaded black, yellow individuals are shaded yellow, and brown individuals are shaded grey. The 6 different possible genotypes are each shown as one offspring. This does not give you any information about the probability of getting a certain genotype of offspring – it gives you the actual number of offspring observed and their traits. Punnett squares can also be used to show this cross. If the probability of inheriting one trait is multiplied by the probability of inheriting the second trait, the overall probability of getting any given offspring can be determined. Figure 19: These two Punnett squares can be used to determine the results of a cross between these individuals: Bbee x BbEe. If you wanted to determine the probability of getting a brown dog, you would multiply the probability of getting bb by the probability of having at least one dominant E. That would equal 1/4 x 1/2 = 1/8. This gives you the probability of getting a brown dog, but doesn’t tell you anything about the number of brown dogs actually observed. Individuals who have albinism lack the ability to produce any pigment. If no pigment is being produced, the color that the pigment would have been is unimportant. The effect of the pigment genes is controlled by the gene that allows pigment to be produced. This is an example of epistasis. 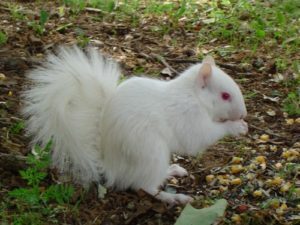 Albinism can occur in humans (see the section on TYRP1) as well as other animals, such as the squirrel seen below. Photo credit: Stephenkniatt from Wikipedia. Schmutz SM, Berryere TG, Goldfinch AD. 2002. 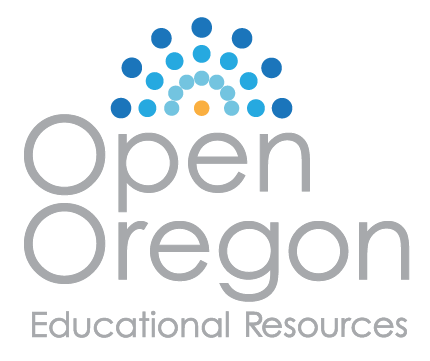 TYRP1 and MC1R genotypes and their effects on coat color in dogs. Mammalian Genome 13, 380-387.